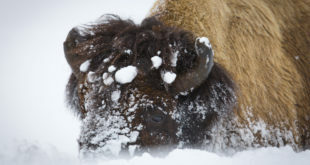 Quarantined Yellowstone bison are finally headed to the Fort Peck Indian Reservation, as an agreement to transfer bulls reached last year finally comes to fruition. 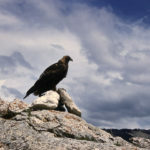 A bizarre string of events that saw misconduct at Grand Teton National Park, Glacier National Park and Yellowstone National Park, including a dangerous taunting of a bison, ended in a guilty plea at Yellowstone Justice Center yesterday. We have another yet another Yellowstone wildlife incident to pass along, as a California woman was gored by a bison after a crowd gathered around the bull at Fountain Paint Pot. After the threat of a potential reassignment as part of a Department of the Interior shakeup, Yellowstone National Park Superintendent Dan Wenk is retiring in 2019, ending a 43-year-career with the National Park Service. Over 1,100 Yellowstone bison have been hunted and slaughtered this winter, far above the goal set for this year’s Interagency Bison Management Plan. Select roads in Yellowstone National Park are now open to spring bicycling.